This week’s Dress Circle (1/20 7:00 p.m.) epitomizes that great television interjection, “But wait! There’s more!” as we look at some “bonus tracks” from the age of the CD. With the advent of a CD being able to hold 80 minutes of music, many companies gave us material from cast recordings, film scores, and demo recordings that was never available in the age of 78’s and LP’s. 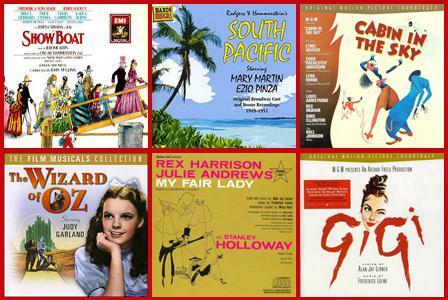 We’re going to be looking at some of those tracks from recordings of stage musicals like “Cabin in the Sky,” “Show Boat,” and “South Pacific,” as well as the film scores for “Gigi,” and “The Wizard of Oz” and many more. Join us for some interesting pieces with which you might not be familiar. Listen to a program celebrating CD "bonus tracks."